Dangerous pollution at St Peters School—why didn’t anyone tell the parents? An air quality monitor at St Peters public school in Sydney's Inner West has recorded the highest average levels of PM 10 of any Sydney monitoring site during the first three months of this year. The monitor also recorded the highest average level PM 2.5 levels from January to December 2017 with a level of 9.6 u/gm3, which was slightly above Chullora in Western Sydney and well above any other site monitored by the NSW Office of Environment and Heritage in 2017. The national annual limit is 8 u/gm3. Between April and June 2017, the average PM 2.5 levels were above any others in Sydney. However, although the St Peters community has constantly complained about the impact of dust and odours on their health, they have been kept in the dark. WestConnex commissioned the reports as part of the Environmental Impact Statement (EIS) process. NSW Roads and Maritime Services (RMS), the NSW Environment Protection Authority, the NSW Planning Department and the NSW Health Department should have been able to easily access the data. But if they have, none of them have ever passed them onto the community, even when specific public health concerns have been raised. When we asked why the ownership of the monitor prevented the Education Department from answering the questions, the spokesman was adamant that nothing more would be said. 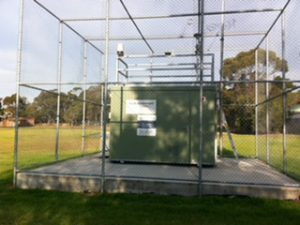 The air quality monitor was installed by Westconnex consultants Pacific Environment at St Peters school in July 2015. (Last year, multinational Pacific Environment was taken over by an even bigger global consultancy ERM). The monitor's original purpose was to record air quality data for the WestConnex Stage 2 New M5 EIS. It was also used for the Stage 3 M4/M5 EIS. It's situated on the far south-west corner of the spacious St Peters Public School grounds. Nearly three years later, school parents have not even been able to find out if the monitor is still operating. WDA intends to make the calibrated data recorded by the air quality monitoring station publicly available....The calibrated data can be sent to St Peters Public School for distribution to parents and interested stakeholders. She promised that WestConnex would work with air quality specialists to prepare a suitable format for presenting the data to the public. As you can imagine, we are very concerned about the impact of the proposed project on the health, safety and well being of our children, staff, parents and citizens, and others who use the School’s facilities. We are aware that high concentrations of nitrous dioxide and other noxious gases released from tunnels, as well as the release of particular matter including ultrafine particulates, which possess significant toxicity, have been linked to a range of health problems including asthma, cancer, allergies (especially in children), eczema, hay fever, and strokes in adults. He asked, "Does “intends” mean “will”? At what intervals will the data be made available? Yes, WestConnex Delivery Authority will make the calibrated data recorded by the air quality monitoring stations publicly available. This data will be made available on a monthly basis....WDA will send the calibrated data to the school and to the P&C. The parents also expressed great concern that there would be no monitoring of asbestos, given the amount that was to be removed from the landfill and in buildings that were to be demolished. Later parents were appalled to discover that the asbestos was being removed before the project had been approved and without any monitoring at the School. The St Peters parents that we have spoken to believe that the results were never sent through and the school principal also does not have them. Now three years later, this report confirms what many residents feared was the truth. Those living near the monitor and students who play on the oval will have been exposed on occasions to dangerous levels of pollution. Even more worrying, Westconnex told the school that they were placing the monitor well away from the major roads. The school buildings and a nearby preschool are much nearer to the WestConnex construction sites and major roads. For months, construction work using heavy diesel equipment has taken place within metres of homes in St Peters, including over 24 hour periods. It is highly likely that levels nearer the roads works have been higher than those near the air monitor. As we reported in our first story, PM10 and PM2.5 include particles, which when breathed in are small enough to penetrate the chest and upper back region of the respiratory system. The negative health effects of PM are well documented and occur over both short-term ( hours and days) and long-term (months, years). PM can aggravate asthma and respiratory symptoms. Finer PM 2.5 particles and ultrafine particles ( which are not monitored) are more clearly associated with higher risk of death from heart disease and lung cancer. People who are already ill or elderly and very young children are particularly vulnerable. There is no known safe level of exposure. Where can you find the St Peters monitoring reports? If you have the time, you can find some early New M5 St Peters reports by using a basic web search. Today if you search 'WestConnex and Air quality' you will find this page. Most of the material at the top of the page is promotional and makes optimistic assertions, that have been contested by independent experts. If you scroll down to the bottom of the page, you will find the EIS Air quality monthly reports. The St Peters data is inside the New M5 and M4/M5 monthly PDF reports. An internet archive search shows that the reports have not been published monthly and that most of the 2017 reports weren't published on the page until March this year. The monitoring reports are not secret but nor are they accessible to the community as promised by WestConnex. They do not include detailed information, like tables with daily pollution levels, although these would be simple to compile with WestConnex’s complete data. Once you open all the monthly PDFs, you can search through them and compile all the data to see monthly results in context. The community should not be be forced to track this data down and do this time-consuming analysis themselves. There are also obvious errors in some of the reports, for example a table that shows different results that the corresponding chart for the period. We've been through the reports. Here's a summary of what we found. The NSW Office of Environment and Heritage monitors particulate matter at a range of sites across Sydney. For this chart, we selected the top five PM 10 results for OEH monitoring from January to March this year and compared them with the WestConnex St Peters results. As you can see the levels at St Peter are substantially higher than others. Communities are understandably worried when there is a threat of increased pollution from construction, traffic and pollution stacks, all of which threatened St Peters. The community fought hard to stop the New M5. They engaged intensely with the EIS process including the issue of air quality. Sydney Motorway Corporation has no air quality experts. Insead they use the RMS Air Quality specialists, who contantly reassured concerned residents that their fears were baseless. In late 2015, a massive amount of dirt was moved around the site and tons of asbestos was removed. Before residents started making complaints, some trucks were not covered properly or enough water used on the site. The New M5 was approved in April 2016. In the final months of 2016, demolition of houses and industrial buildings began in earnest. Only metres from St Peters School, houses were crushed, leaving others facing directly onto major roadworks. This is when the situation began to rapidly deteriorate. The pressure on some residents was relentless. Some have been driven to breaking point by endless noise. Houses have literally shaken, until pictures fell off the wall. Plumbing has been damaged and floors cracked. Compared to these physical impacts, air quality is a hidden issue. But on bad days, dust is everywhere. Over quite a large area, residents reported increased asthma, bronchitis, high blood pressure, and conjunctivitis. The community was concerned that PM levels were rising but had no reports to prove it. We charted the PM 10 levels to create this graph, which as you can see shows that the PM 10 levels rose in late 2015, then climbed from late 2016, reaching a peak this year. The construction will continue for many months yet, and years if Stage 3 goes ahead. The monitor of course only reflects air quality 200 metres from the massive construction sites. It could be higher or lower in other locations. I live about 25 metres from the road widening that is going on at the moment. It's like living in a construction zone. And the thing with complaints to the Sydney Motorway Corporation, they don't take them seriously at all. People are just tired of complaining. They feel demoralised with they ring them (WestConnex) up. What Anne ( another resident) said about the contemporary construction phase is that it has already been 2 years and we look set to have another five - possibly. It's definitely not temporary. My son goes to a local public school and I have concerns - health and safety concerns. I know that the Principal has contacted the SMC with concerns and they have simply fobbed him off..... and that needs to be looked at. Also we have an air pollution monitoring on the site of the school and we were promised access to that data and we cannot access that data. The community is suffering and we need some help and we need the Council to advocate strongly for us. I don't know It's a bit of a David and Goliath Situation but really I mean, the residents are really suffering and we need help. Please. Thank you. The Noise and Air report found that air monitoring was too expensive. It made no reference, let alone answered, the concerns of the three St Peters residents. The report didn't state whether they had looked for the St Peters reports. Has the Inner West Council ever been supplied with monthly reports that contain the monitoring for St Peters School? If not, has the Inner West Council even requested them? If yes, does the Inner West Council pass them onto the School, the P& C, Councillors or the local community? Has the IWC Council had any discussions with the school about the results? It may seem unfair to raise the lack of action by the IWC. But it's even more unfair to expect the community to not only find information but process it as well. In the desperate David and Goliath situation described by Ngaire Worboys, the Council has a far better chance of getting information than residents. The old toxic Alexandria Landfill was not properly closed when the construction phase began. For months last year, stinking gases were emitted from the massive site. After endless complaints and media reports, the NSW Environment Protection Authority (EPA) took action in the Land and Environment Court against CPB Contractors Pty Ltd for allegedly causing offensive odours from the WestConnex St Peters M5 Interchange site on four occasions in April, May and June, 2017. According to the air quality reports, in the months of April to June 2017, the PM 2.5 at St Peters School averaged 14.2 u/gm3, 14.1 u/gm3 and 17.2 u/gm3. These levels were high and substantially higher than any OEH site. This finding raises concerns about what toxic substances, which form part of PM 2.5 but are not being separately monitored, were present in the air during this period. High levels of PM 10 at St Peters School linked to construction. One of the major flaws in the New M5 EIS process was the finding that construction impacts did not need to be quantified because they would only be 'temporary'. This reasoning was applied again during the Stage 3 M4 M5 process, although construction impacts will go on up to 7 years in some areas. The NSW EPA was critical of this response but NSW Planning approved it. The idea that the construction impacts are temporary is absurd. But the EIS Air quality case depends on no account being taken of construction dust. For this reason, RMS and Sydney Motorway Corporation have a very big stake in asserting that elevated levels of pollution are not due to construction. It is true that pollution levels do strongly reflect broader background levels and high levels in Sydney often reflect hazard reduction and bushfires. But If polluted air from bushfires is added to already high levels of pollution generated by road work sites raised and the emissions of heavy diesel machinery, levels may peak even higher. This issue needs to be examined by experts. At the M4 East Air Quality Consultative Committee in March, community and Council representatives raised concerns about construction dust. According to the minutes, an SMC or RMS representative told the Committee members that construction dust is unlikely to contain PM 10. In fact construction dust is often associated with PM 10. But if you read the St Peters air quality reports, you find evidence that WestConnex is fully aware that this is not the case. On January 15 and 16th this year, the PM 10 levels reached an extremely high average of 80 u/gm3 at St Peters public school. These levels were significantly higher than at any other site and so it was "suggested to be a highly localised Particulate Matter event specific to the site." Although the hourly data is not available ( as it is for OEH sites), the event appeared to last for 48 hours. In March 2018 Pacific Environment ( now ERM) acknowledged that a national exceedance ( 50 u/gms3) of PM 10 at St Peters School could only be explained by a localised event "potentially due to construction activities." And there the evidence was left hanging. What were these events? 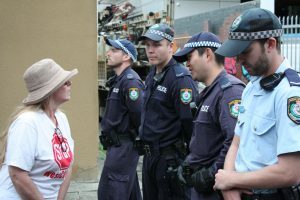 Did anyone at ERM (Pacific Environment) contact WestConnex or the NSW EPA to recommend an investigation? Could these admissions be one reason why WestConnex and RMS have been slow to release the reports? In April 2018, the WestConnex Action Group spokesperson Rhea Liebmann wrote to the Minister for Health Brad Hazzard, the Minister for Environment Gabrielle Upton and the Minister for Planning Anthony Roberts expressing concern about elevated levels of PM 2.5 at Haberfield Public School and asking for an investigation into air quality problems revealed by the monitoring. The letter also referred to residents at St Peters experiencing breathing difficulties, worsened asthma. sore eyes and allergic reactions. So far, only the Minister for Health has replied and he referred the matter to the Minister for WestConnex Stuart Ayres. Last month, we raised these same concerns with the Minister for WestConnex and he referred them back to the Sydney Motorway Corporation. The Department of Education also refers any questions back to Sydney Motorway Corporation. WestConnex has a team of community engagement managers, one of whom describes his responsibilities as "navigating a politically sensitive environment." St Peters school community was such a "politically sensitive environment' in 2015. Did SMC ever intend to show the St Peters residents the air quality results? We will never know. Responsible Ministers in NSW are deflecting responsibility for public health to the private and unaccountable Sydney Motorway Corporation, which is currently on sale to the highest bidder of three consortia. SMC rides roughshod over people's health and safety and should not be doing its own air monitoring. There is a clear conflict of interest in this arrangement. This is a perpetual motion machine where the buck never stops long enough to hold anyone accountable. Meanwhile, students and residents suffer the health impacts. Will anybody acknowledge a duty of care in this situation?